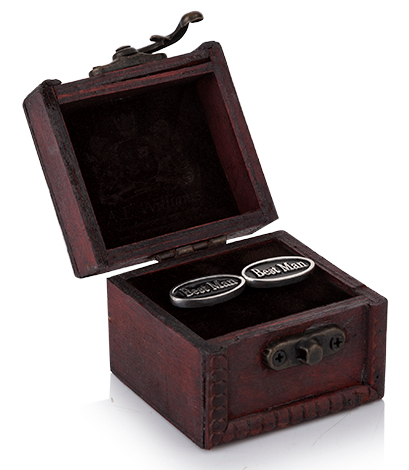 Best Man Pewter Cufflinks are the perfect clothing accessory for a Wedding. They come complete in a beautiful wooden trunk for safe keeping. An Ideal gift for that special day. Please note despite our best efforts to ensure quality control, due to the nature of these products being handmade, some of the leather on the wooden boxes will have slightly different shades of Brown/Tan with the ones shown in the picture.